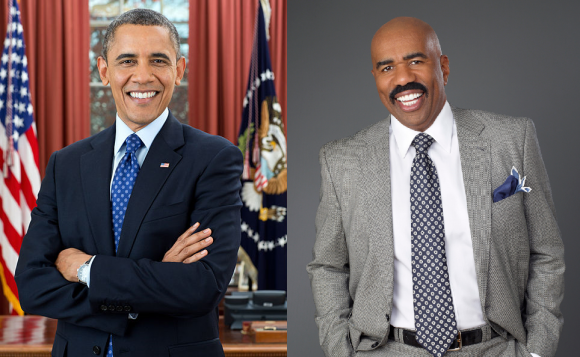 Barack Obama will appear on the Steve Harvey show in a taped interview on December 20. The interview promises to touch on subjects like “family, fatherhood and his plans for the holidays.” This will be the first appearance from the Commander-in-Chief on the NBCUniversal Domestic TV Distribution talk show. Steve Harvey is on its second season and was re-upped until 2016. The show is produced by Endemol USA and averages 2.5 million views this cycle. First Lady Michelle Obama appeared on the Steve Harvey show on October 3, 2012.